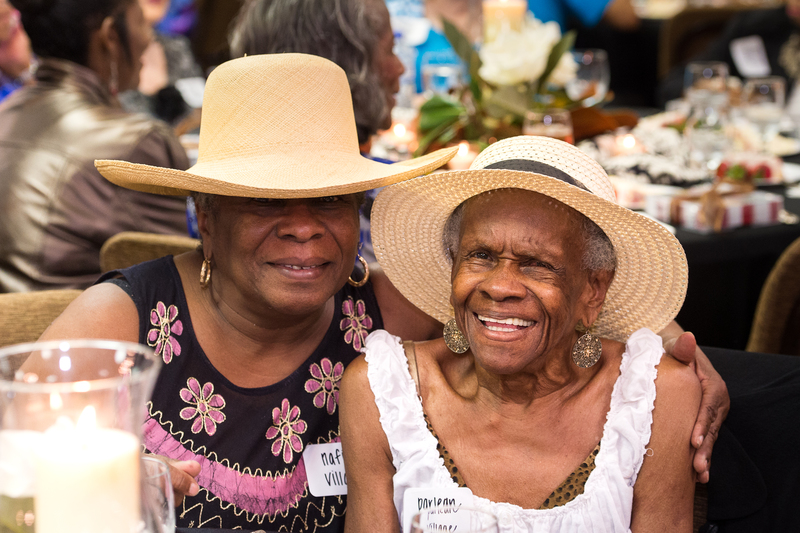 Two weeks ago, our senior adults from 15 of our Walton communities gathered at Piedmont Church in Marietta for a special celebration. 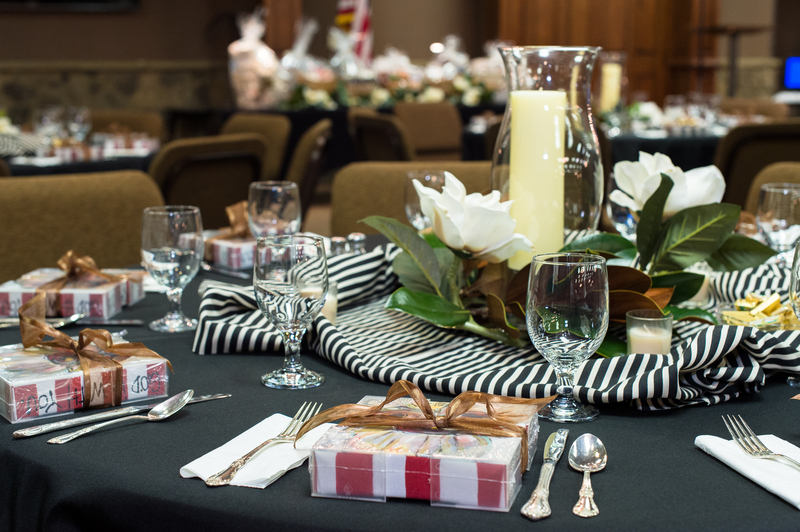 The Second Annual Legacy Luncheon was much anticipated, and it didn't disappoint. Residents arrived at the venue full of excitement and ready to have some fun. 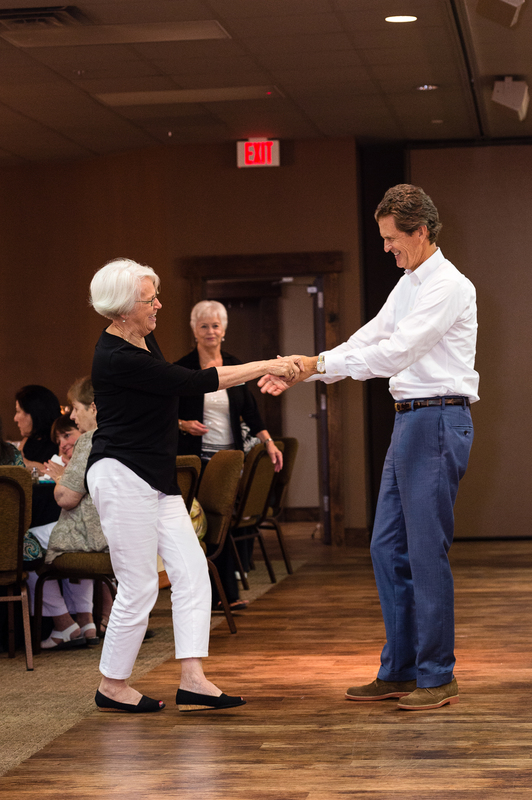 Each person was greeted at the door with a hug and a welcome from a member of the Walton team.The setting was beautiful, the food was delicious, the music was divine and the fellowship was sweet. Some came with friends and neighbors. Others came alone, not knowing anyone — but they didn't leave that way. In the warmth of the celebration, the barriers of distance, of race, of differing cultures disappeared and were replaced with kindness, kinship, smiles and the bonds of new friendship. The group was serenaded by Bill Gleeson, a smooth-voiced crooner reminiscent of Sinatra. Gleeson, a former New York City firefighter during the 9/11 tragedy, sang his heart out. His easy smile and quick wit quickly won them all over. 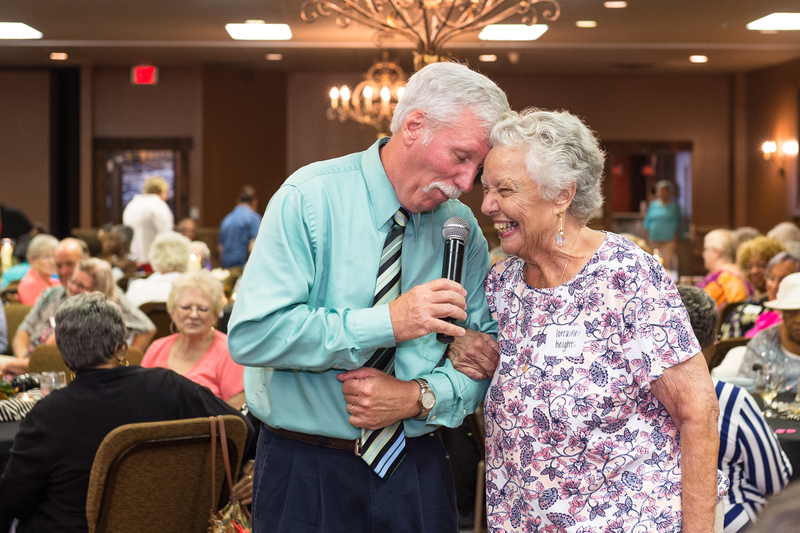 And his choice of songs — favorites from the past that they all knew and could sing along to — was a big hit, and transported them back to a time when they were younger and perhaps more agile. 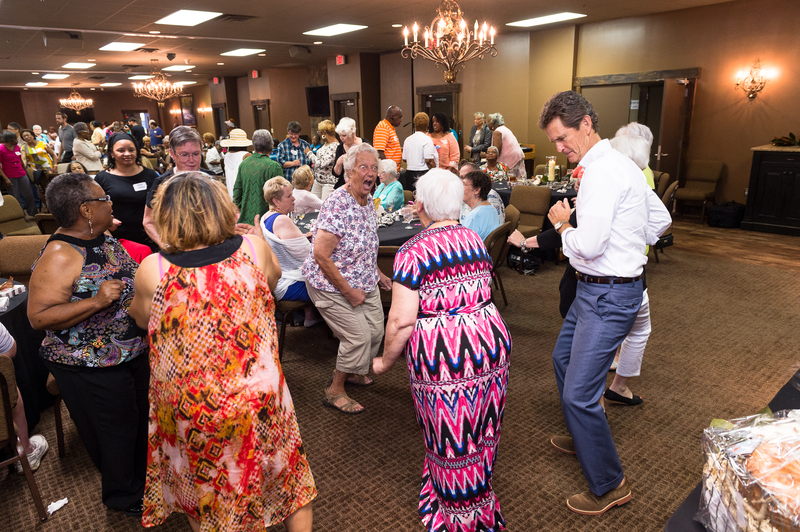 However, in spite of walkers and arthritis, many got up and danced for the sheer joy of it. That room was rockin'! And they were having the time of their lives. It doesn't take much to bring people together. Just an opportunity to meet others, someone to do the introductions and the start of a conversation. From there, friendships blossom and grow. Aren't celebrations wonderful?